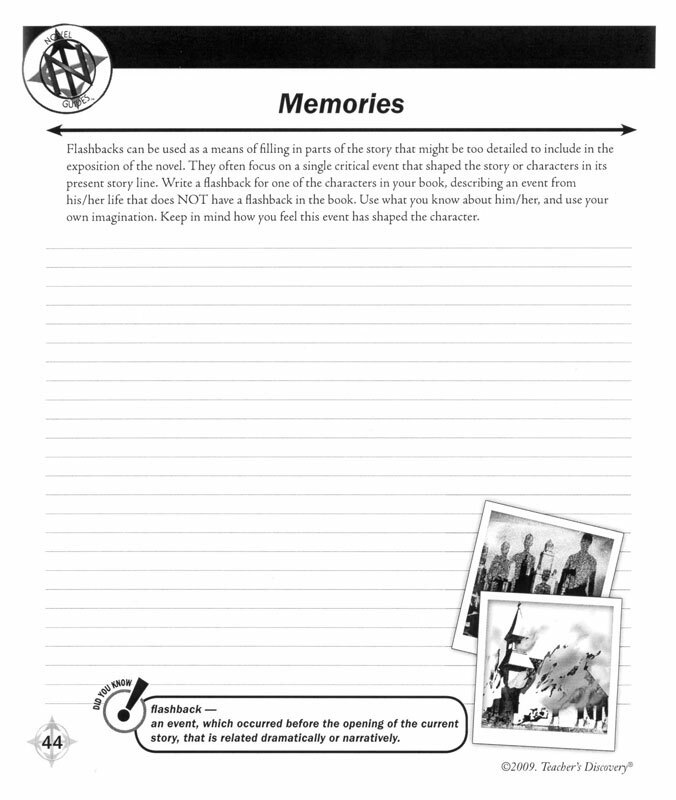 My Novel Journal - 54 Writing Prompts to use with ANY Novel! Connect students with any novel they are reading! 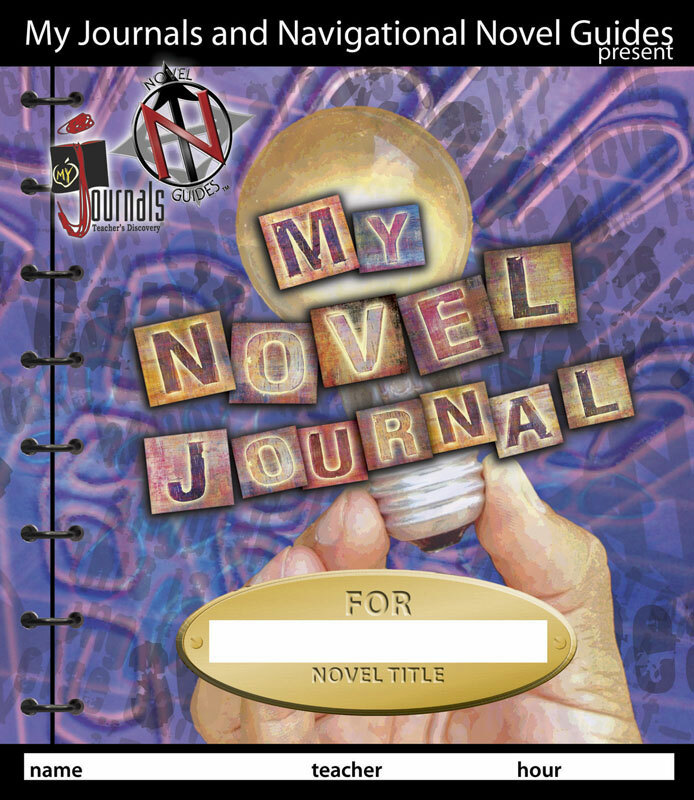 My Novel Journal is a collection of 54 writing prompts developed specifically for literary analysis and criticism. 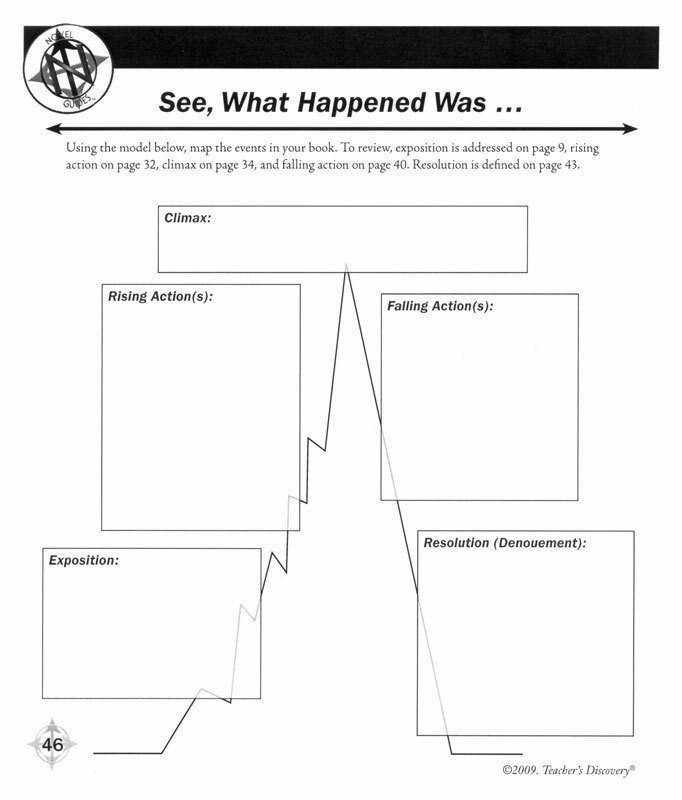 This approach helps students build deeper comprehension, strengthen writing skills, and gain the skills to interpret literature. 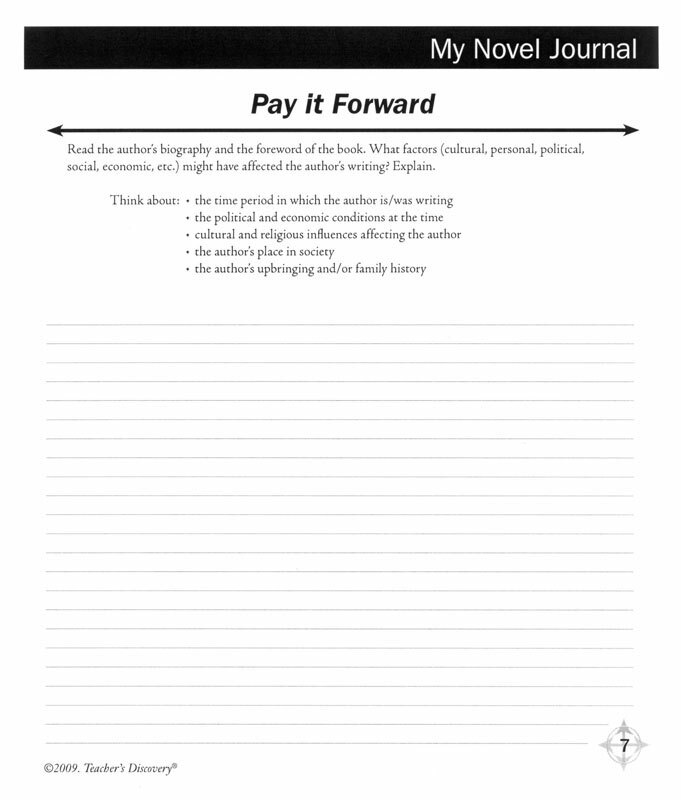 The prompts include both literary elements and figurative language, as well as work with any novel you assign. 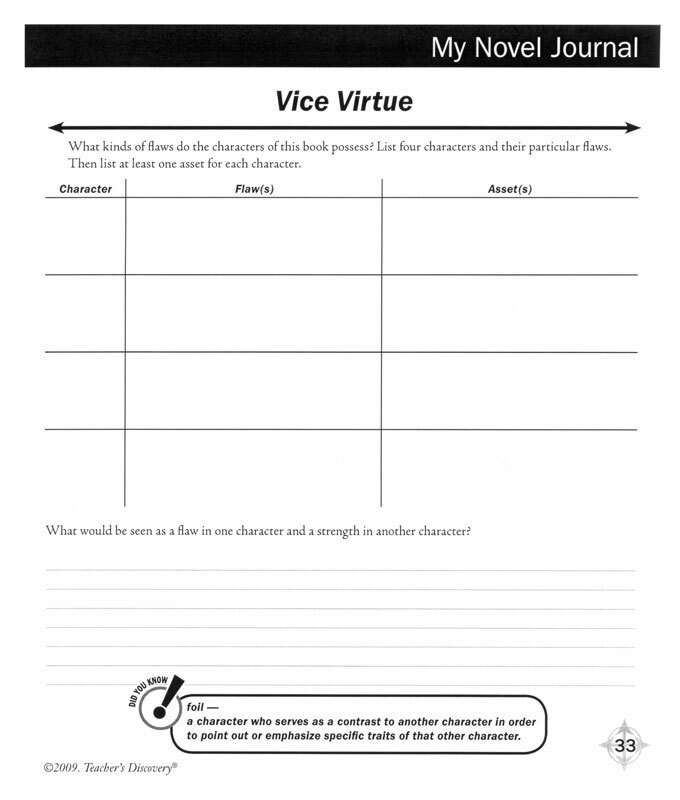 Students explore what is inside and outside the novel by developing a thorough understanding of the novel's terms, characters, plot, and author. ©2009. High school. Set of 30. 8 x 9 inches. Softcover. 54 pages ea.